CooksRecipes has quality, kitchen-tested recipes for a variety breakfast bars and breads that you can count on for successful deliciousness. 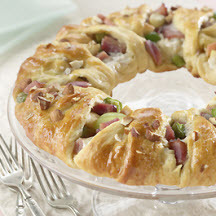 Bring the brunch crowd in with this pretty and delicious pastry ring. 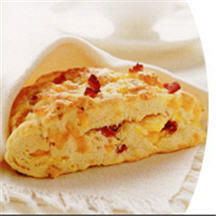 Breakfast in a scone....how clever is that?!! Complete the "meal" with seasonal fresh fruit or juice, and a steaming cup of coffee or cocoa. 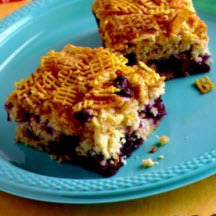 Recipe courtesy of the US Highbush Blueberry Council.